The Master Flow Air-Tite 8 in. Take-Off is suitable for most HVAC applications. 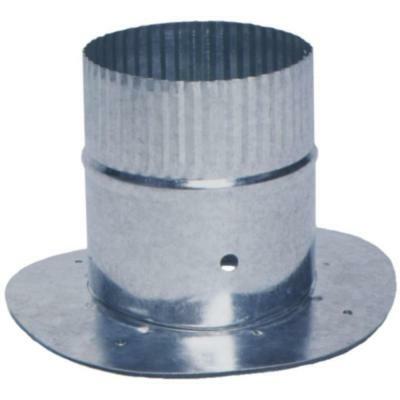 It provides an airtight seal from a flat surface to an insulated flexible duct or round pipe. This take-off can be used to redirect air from any side of the plenum or to transition from a rectangular pipe run. It can be installed using sheet metal screws (sold separately). It is suitable for most HVAC applications.